Do you know there are sales representatives (reps) and financial advisors? Or, that Wall Street companies spend hundreds of millions of dollars per year fighting transparency and fiduciary regulations that would make it easy for you to tell the critical differences between the two? Why does Wall Street fight disclosures that benefit investors? If you knew the differences you would not buy financial products from sales reps. This is a major problem for Wall Street companies because their distribution systems are primarily reps. In fact 75% of all the people who sell financial products are sales reps – a major source of risk for investors. Wall Street could convert their sales reps into advisors tomorrow so what is stopping them? The fact of the matter is when advisors are financial fiduciaries they are required to put investor interests ahead of their own. On the other hand, Wall Street executives maximize company profits and their own bonuses by putting their company interests first. Consequently, advisory relationships would negatively impact profits and bonuses and create large numbers of lawsuits. Securities lawyers would have a field day. No matter how nice or glib an advisor might be, next time ask for proof that the person who wants to control or influence your investment decisions is a real financial advisor. If he is an Investment Advisor Representative (IAR), an acknowledged fiduciary, is compensated with fees, and he provides ongoing advice and services, he is a real advisor. However, if he holds securities licenses (Series 6 or 7) and his only method of compensation is commissions he is a sales rep.
Reps claim to be advisors to reduce your sales resistance. They know you do not want salesmen investing your assets. But, this deceptive sales tactic is easy to detect if you ask the right questions. And, make sure you require reps and advisors to document their responses. It stands to reason you can trust what you see more than you can trust what you hear. Verbal information is too easy to deny later when it is your word against the advisor’s. 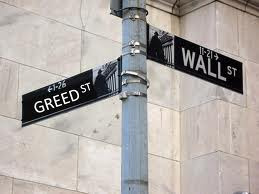 Only you can protect your financial interests and it pays to remember Wall Street spent billions to make it this way.